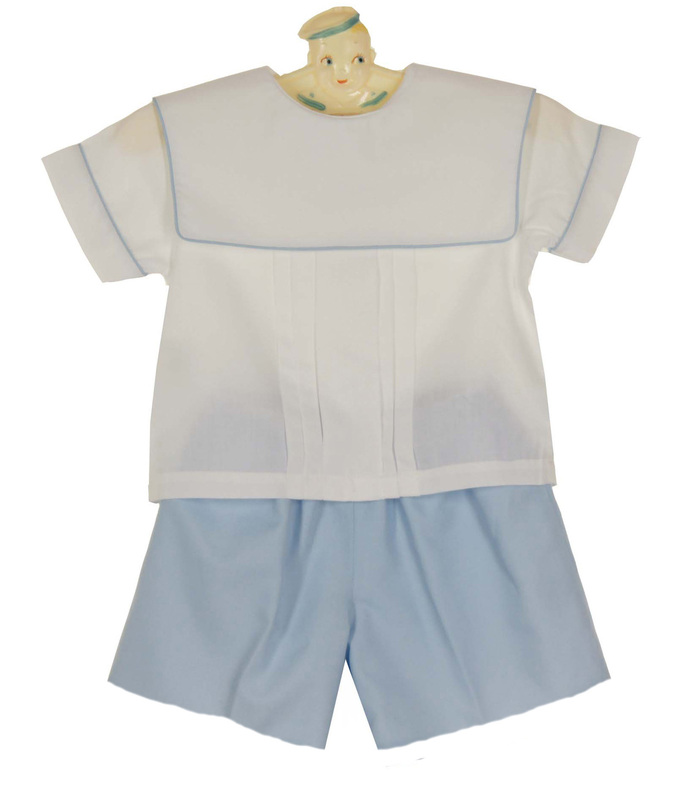 This darling blue and white cotton blend shorts set is made by Rosalina, a leading designer of classic children's clothing. 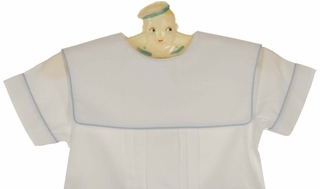 The white shirt features a back buttoned closure, a pleated front, a portrait collar and short sleeves edged with blue piping. The blue shorts have an elasticized waist for a good fit. The perfect portrait outfit for your baby or toddler boy! Similar style is available with long sleeves. See below. For an additional $10 charge, the shirt may be custom monogrammed with a single French Script initial in the center of the portrait collar. For more information about monogramming, see monogrammables section.